I have been writing for many years and I’ve loved it always, and every piece must be found, formulated and pulled out of me. 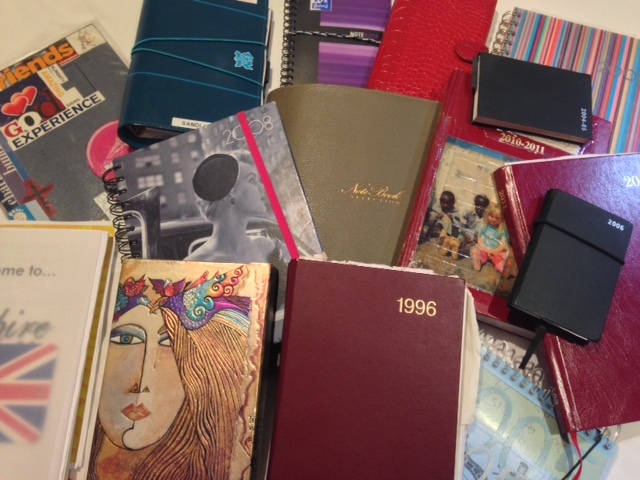 I’ve written a diary or a journal most of my life – always delightful to re-read. Though generally not a daily writer, I keep coming back. Some entries are trivial: “I broke a nail!” (1991 school diary complete with nail stuck into the diary with sticky tape). Some entries are tentative: “How do I begin?” (2013 catching up after a few months of not picking up my journal). My life in journals is a collection of memories and moments. I have always thought (hoped) that someone might like to read them one day. Perhaps my children? Grandchildren? My own fascination with previous generations of my family, history and times past make me nostalgic and completely besotted with the ordinary and profound stories of others. Apart from journaling I am a part time, freelance journalist and film reviewer and have been known to write the odd blog (but specific to my career mostly). In a parallel world I also dabble in ‘barges’, ‘jack-ups’ and ‘tugboats’ – another story. This blog will contain my thoughts and musings and hopefully my own stumbles and triumphs will encourage readers to live life purposefully, as another blog recently inspired me (more about that another time).